Cyber Weekend Exclusive Library Offering – Limited Quantities! 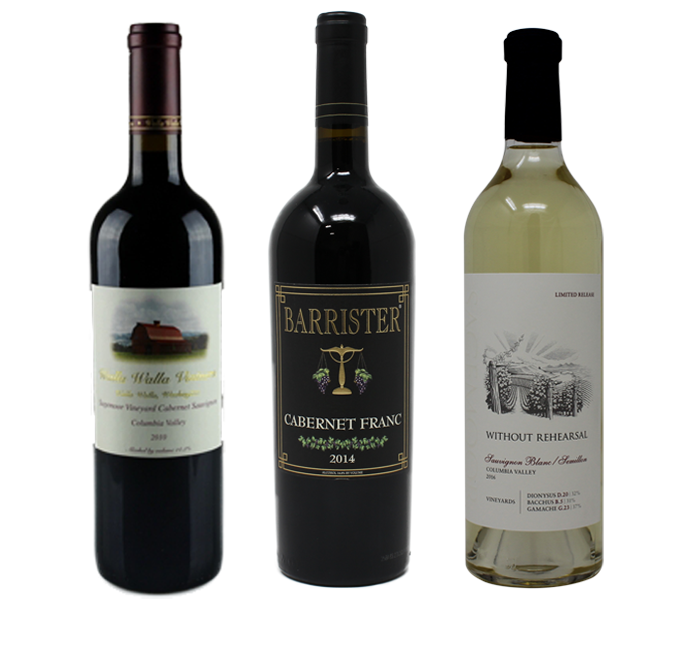 For this limited time offering, we chose 2013 Walla Walla Vintners Sagemoor Vineyards Cabernet Sauvignon, 2014 Barrister Cabernet Franc and 2016 Sagemoor Without Rehearsal (Sauvignon Blanc/Semillon). Fun fact, did you know that Cabernet Franc and Sauvignon Blanc are the parent grapes of Cabernet Sauvignon? Wine family for your family, enjoy!! Don’t miss out on this offering, only available this Friday, November 23rd – Monday, November 26th!